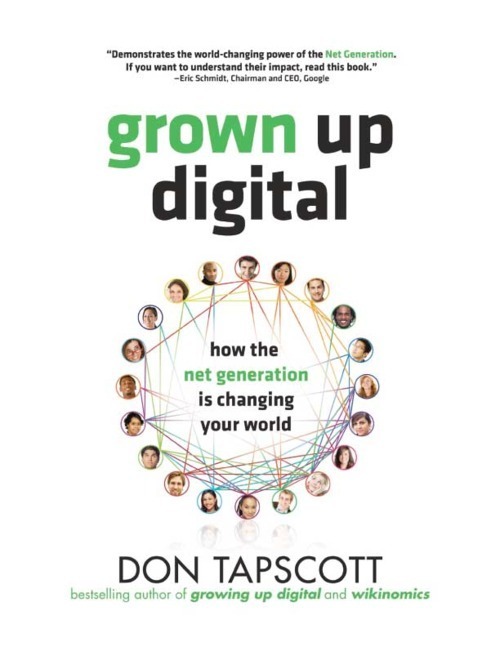 I just finished reading Grown Up Digital: How the net generation is changing your world by Don Tapscott. Grown Up Digital was inspired by a $4 million research project, “The Net Generation: a Strategic Investigation,” funded by large companies and conducted under the nGenera banner. I really think this is a must read for those educators, administrators and indeed schools still struggling to come to terms with the changing landscape of the 21st century. Tapscott shares seven tips for educators to help them become better teachers in the digital age. 1. Don’t throw technology into the classroom and hope for good things. Focus on the change in pedagogy, not the technology. Learning 2.0 is all about dramatically changing the relationships between a teacher and a student in the learning process. Get that right and use technology for a student-focused, customized, collaborative learning environment. 2. Cut back on lecturing. You don’t have all the answers. Besides, broadcast learning doesn’t work for this generation. Start asking students questions and listen to their answers. Listen to the questions that students ask too. Let them discover the answer. Let them cocreate a learning experience with you. 3. Empower students to collaborate. Encourage them to work with each other and show them how to access the world of subject-matter experts available on the web. 4. Focus on lifelong learning, not teaching to the test. It’s not what they know when they graduate that counts; its their capacity and love for lifelong learning that’s important. Don’t worry if kids forget the dates of important or key battles in history. They can look them up. Focus on teaching them how to learn – not what to know. 5. Use technology to get to know each student and build self-paced, customized learning programs for them. 6. Design educational programs according to the eight norms. There should be choice, customization, transparency, integrity, collaboration, fun, speed and innovation in their learning experiences. Leverage the strengths of net gen culture and behaviours in project-based learning. Sometime ago I wrote a post about a simple rhetoric shift from ‘assigments’ to Learning Advetures and thought I would share another example. It involves finding a satellite image and having students perform imagery analysis. Imagery analysis is a discipline which uses some of the most sophisticated science and technology available. An Imagery Analyst is a person with a well-rounded education, an inquisitive and analytical mind, and a highly developed mental skill and knowledge set. The following Learning Adventure is deep, rich, has inherent cross-curricular opportunities and promotes all of the 21st century skills that have been talked about so often. At what approximate time of day was this image taken? What led you to this determination? In which season was this image taken? Is it a working day? 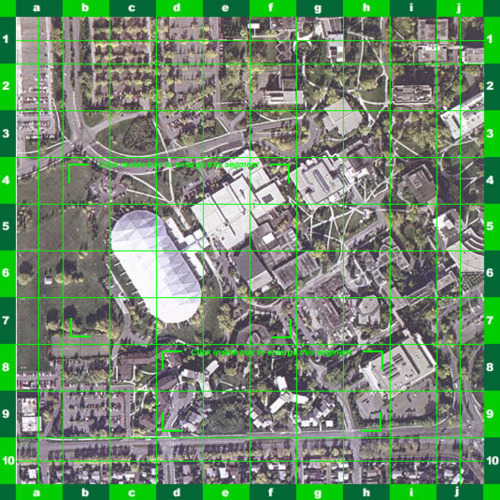 What is the approximate length of the large white dome? What do you think the large dome is part of? What type of facility is depicted in the whole image? 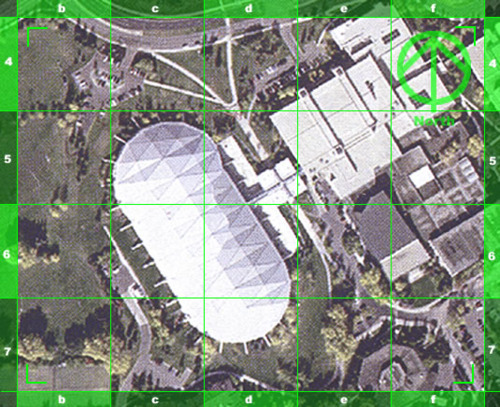 What function do the 2 triangular buildings to the south-east of the dome serve?